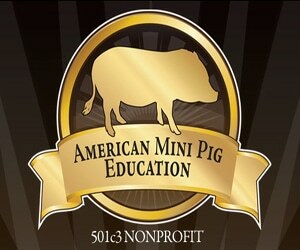 This program will set you on the path to learning what is needed to begin using your mini pig as a therapy pet in your community. Therapy pets change lives as they visit nursing homes, retirement communities, schools, libraries, and more. 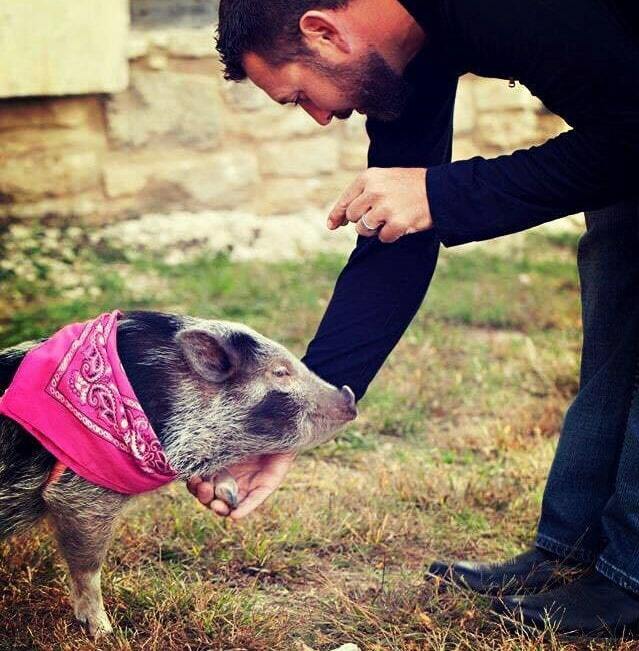 Using a mini pig as a therapy animal not only makes a lasting impact on the humans he meets, but it gives the opportunity to educate on the truths of mini pig pet ownership. 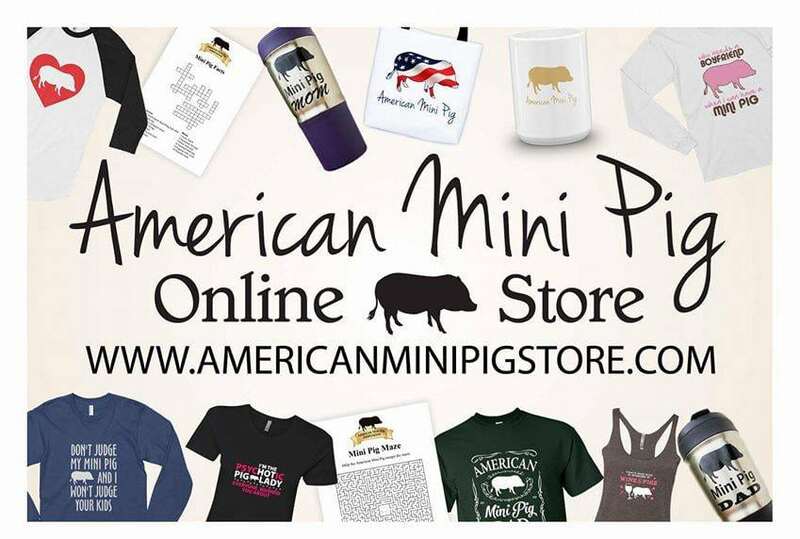 You and your pig will be ambassadors for the mini pig community while you spread some smiles, laughs, and love to those who may be needing it. 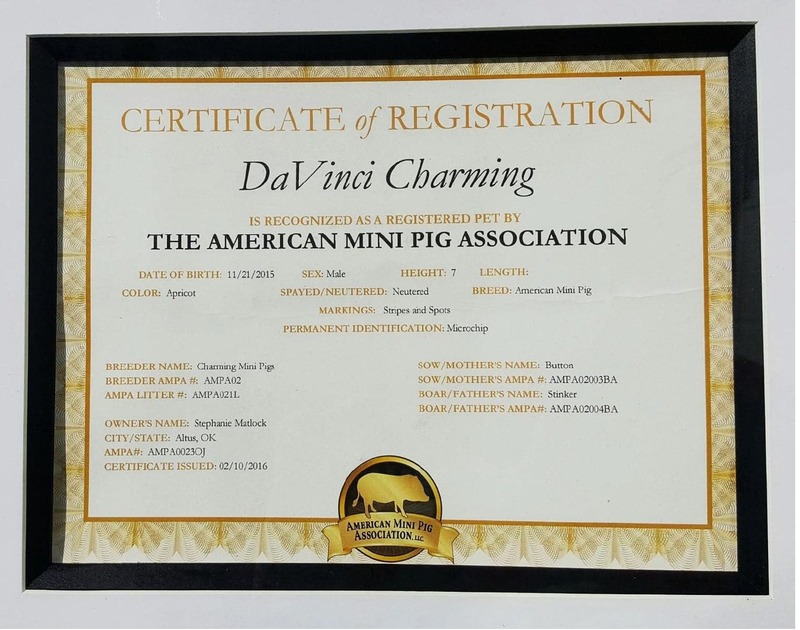 What is involved in certifying your pig as a therapy pet? 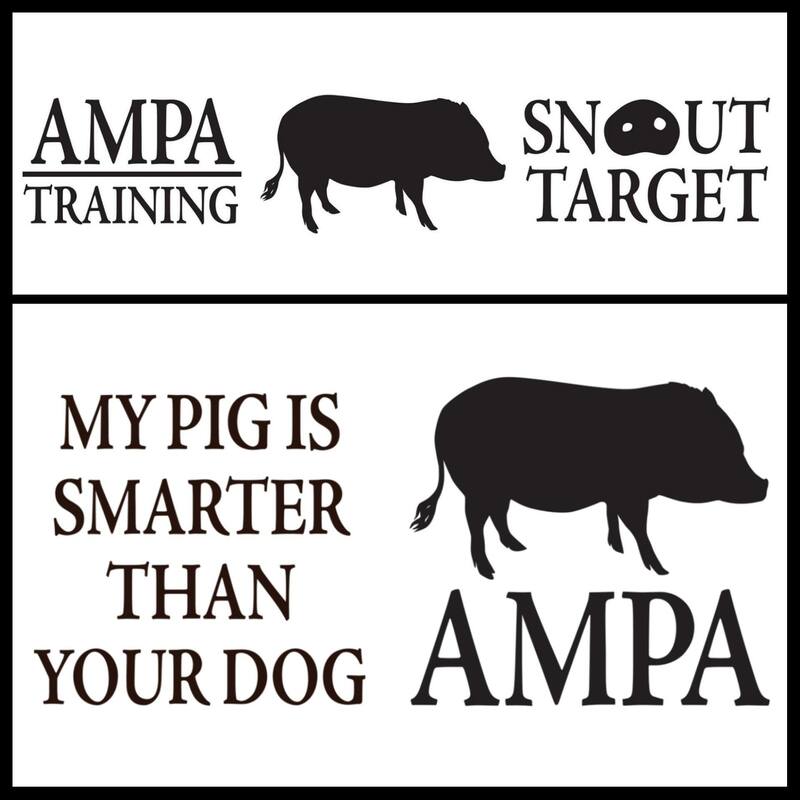 We have an online educational course that will need to be completed by you, the owner/handler on basic mini pig care and health, educational information about mini pigs to share on your visits, important information on understanding pig behaviors, and essential tools to help you train your pig in preparation for certification. You may work at your own pace, so there is no specific start date or finish date for the course. You may complete as many lessons a day, week, or month as you choose. 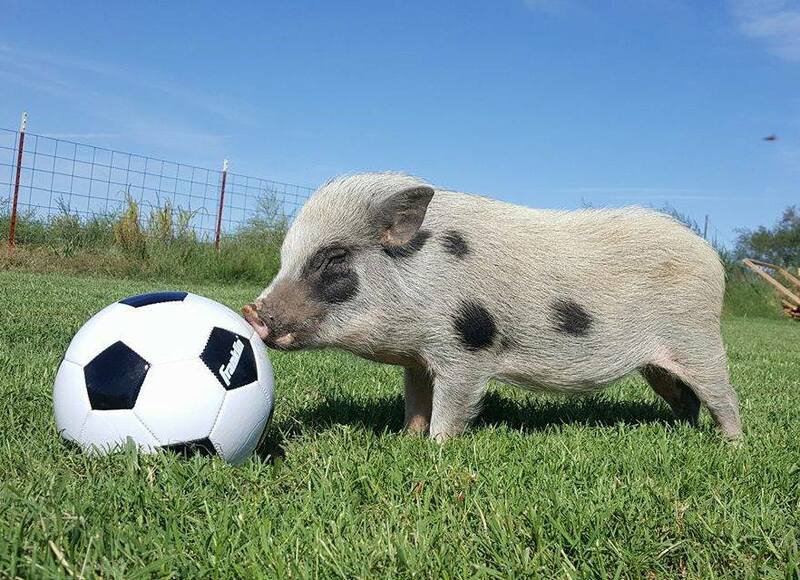 Your pig must be spayed/neutered. You must complete the course to qualify for certification. 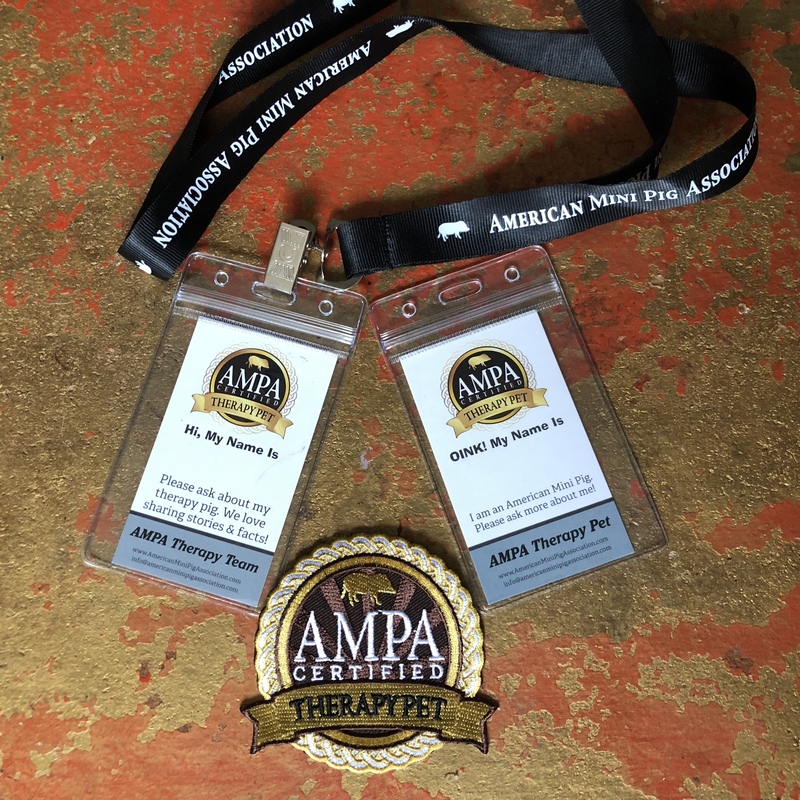 You will earn Therapy Pet in Training status until you have completed all the requirements. 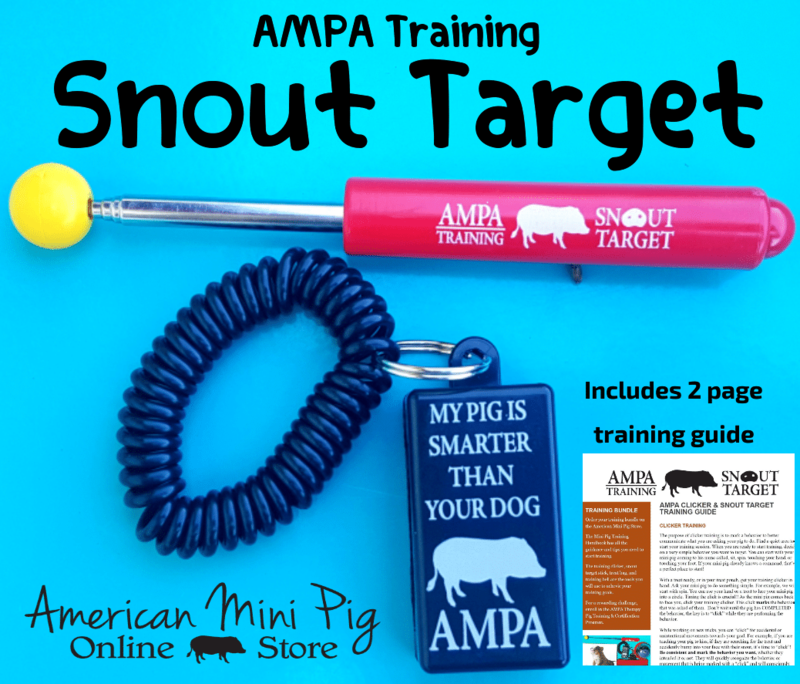 Pigs under 1 year will be certified as Therapy Pets in Training upon completion of the program and may resubmit at 1 year of age to become a certified Therapy Pet. 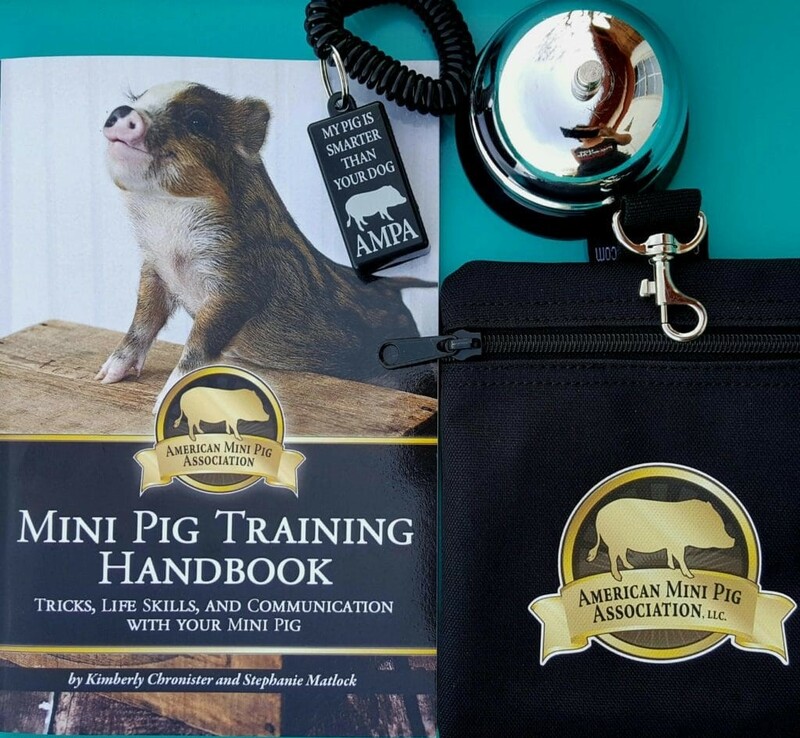 After completion of the program your mini pig will be certified as an AMPA Therapy Pet! 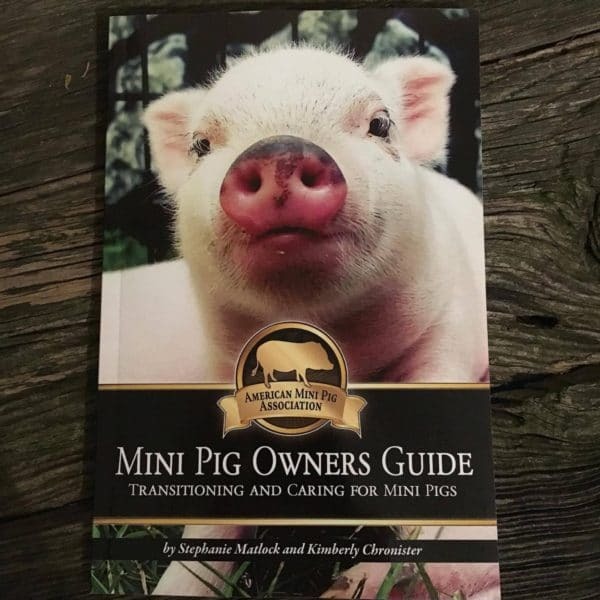 You will be given information on how to reach out in your community to get those opportunities to share your mini pig in the community with Therapy Pet status. 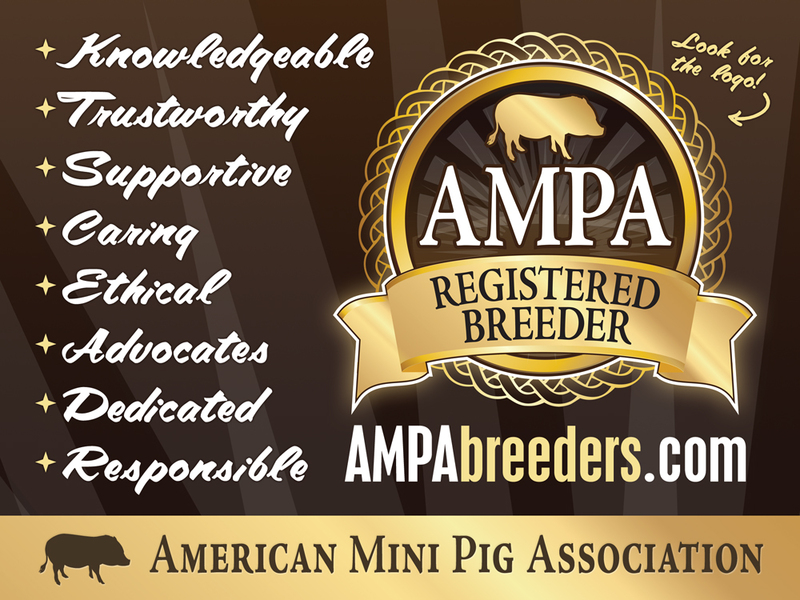 We will also add you to our list of AMPA Ambassadors so that you may be contacted for AMPA events or therapy pet engagements in your area. 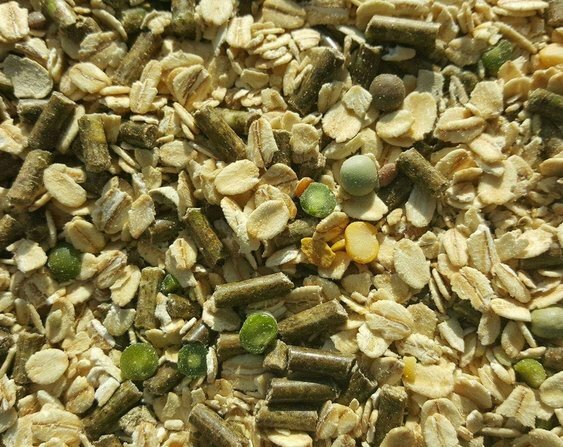 Your therapy pet events will be shared, with your permission on our Facebook page. 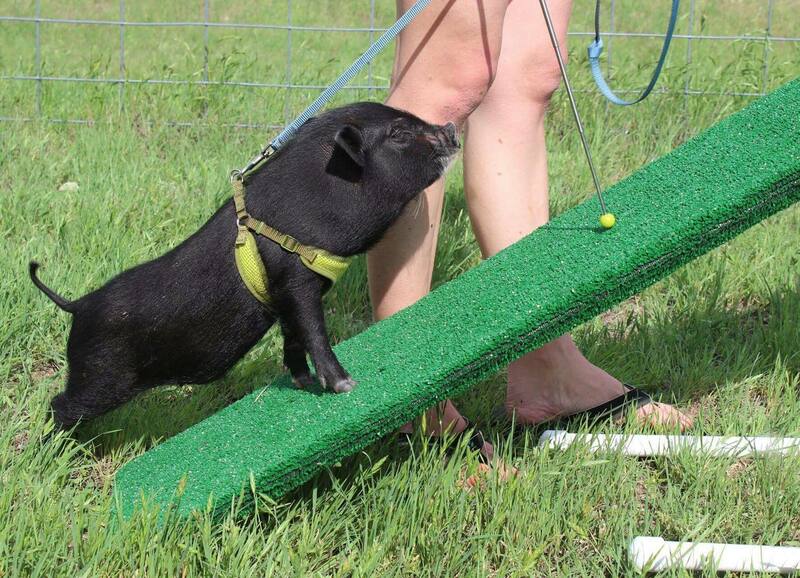 It is important to consider that not every mini pig is good candidate for the job of therapy pet. Qualities that are good to look for are a laid back nature, social personality, acceptance of training. 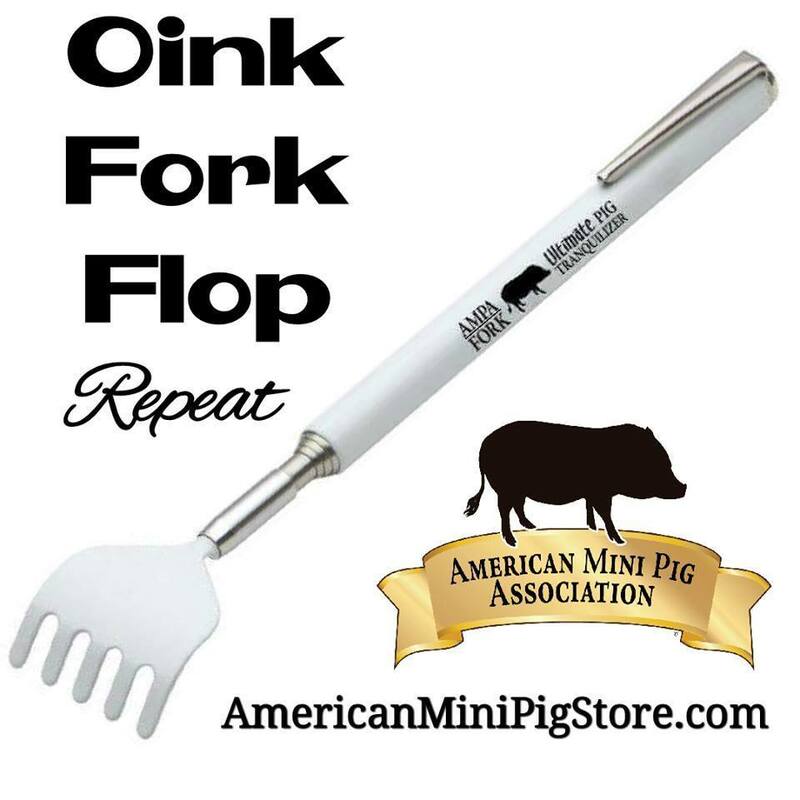 Your pig needs to want and enjoy this work as much as you do, if not more.